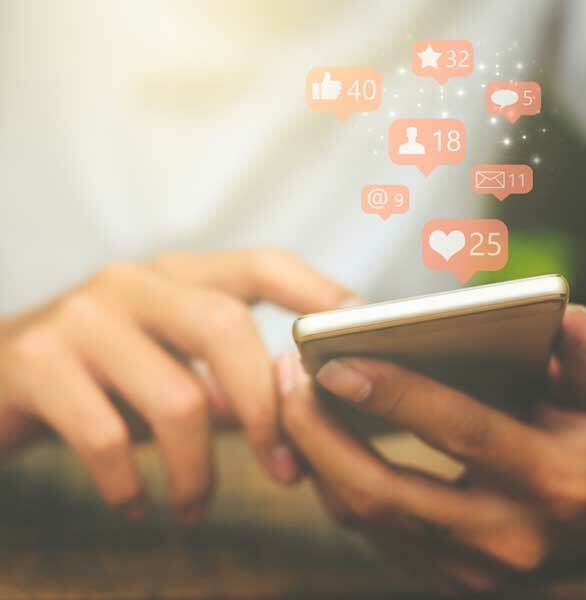 Over 2.27 billion people log into Facebook each month and share wedding photos, baby announcements, dog/cat/bird pictures, political posts, and idle thoughts. If Facebook were a country, it’d be the largest country in the world by population. But it hasn’t taken over the world just yet. I know dozens of people who, for whatever reason, don’t feel the need to join the social media network and publicize their personal lives in a never-ending newsfeed. Some people worry about the Big Brother implications. Some people need a break from friends drama. Some people just don’t like it. If you’re not on Facebook, you probably feel pretty strongly about it, and you shouldn’t let a dating app change your mind. The following dating apps don’t require users to have Facebook accounts to join, so you can maintain your independence while playing the field. Some dating sites and apps use Facebook profiles as a way of legitimizing their membership bases — sort of like a driver’s license for online dating. Sure, having a Facebook profile validates your identity and allows the platform to hold you accountable for your actions — but that’s not the only way to do that. You can use an email address or another social media account just as easily. The following apps don’t require users to have Facebook accounts to become a member. Zoosk began in 2007 when social media platforms were on the rise. The Silicon Valley startup decided to combine online dating and social networking to give singles a uniquely engaging experience. Today, Zoosk has over 40 million members and sees more than 3 million messages sent every day on the site and app. Singles can sign up using Facebook, Google+, or an email address. Right from the start, Zoosk offers many perks to make online dating more of an adventure and less of a chore. As the world’s oldest dating site, Match predates Facebook by about nine years and therefore doesn’t need to rely on the social media site’s reputation or network. Match stands on its own credentials in the dating scene. Its personality-driven match system attracts relationship-minded singles in 25 countries. Match offers a Six-Month Guarantee to back up its dating network and inspire singles to put themselves out there. If you don’t meet someone within six months of active membership on Match.com, the next six months are free. EliteSingles has set itself apart in the online dating scene by catering to the cream of the crop. It currently has over 13 million members and sees more than 2 million visits per month. Over 82% of its members have earned at least a bachelor’s degree, and over 90% want to find a loving relationship. You can create a basic profile for free on EliteSingles. The site does not have an option to sign up via a social media account. All you need is an email address, and you’re off and running. Dating can be expensive. You have to shell out cash on dinners, movies, and other date activities, and you have to spend a pretty penny to keep yourself looking good. Not to mention giving your date presents for Valentine’s Day, birthdays, anniversaries, and other special occasions. Your dating expenses can pile up quickly, so why not save some money by joining a free dating app? Check out three of our favorite free dating apps. About the App: Responsible for 4% of marriages in the US, eHarmony is among our top picks for relationship-minded heterosexual singles. To become a member, add the app to your phone (iOS or Android) and then take its 29 Dimensions® of Compatibility Matching Questionnaire. It's absolutely free to do both these things — as well as receive matches and communicate during other special events. The thing about eharmony is it’s a quality-driven dating platform. Since its launch in 2000, its team of psychologists and dating experts has endeavored to find a formula for love. The signature 29 Dimensions® model identifies vital areas of compatibility and offers a carefully calculated match rating to facilitate relationships. You don’t need Facebook to sign up to eharmony. All it requires is your gender, first name, location, and email address. Signing up is 100% free, but free members can only communicate with one another during eharmony’s free communication weekends, so keep an eye on the calendar. Since 2012, Hinge has endeavored to be more than a dating app — it aims to be a relationship app. It’s “designed to be deleted,” meaning singles find what they’re looking for and move on from the app. According to Hinge’s internal data, 75% of first dates made by Hinge users lead to second dates. As of June 2018, singles no longer need to sign up to Hinge through Facebook. Instead, they can enter a phone number and add photos from their personal galleries. Creating a profile is free on Hinge, and you can message your mutual matches for as long as you like without upgrading to a paid membership. Tinder started out as a Facebook-users-only dating app in 2012, but it has since evolved to be more accepting of Facebook-less singles. More people means more swiping and matching, so Tinder is all about broadening its user base. It currently reaches 190 countries and has over 50 million users. Now singles can sign up for Tinder using a phone number or an email address. Standard membership is free and includes sending messages to mutual matches. Signing up with a phone number is a good option for singles who don’t want to be tied down to Facebook. They can #DeleteFacebook and still keep their matches. Tinder supports the swipe life and gives singles instant access to millions of hot dates. If you’re single and want to meet people quickly, Tinder is definitely a viable option. The average user spends 35 minutes a day on Tinder swiping, matching, and chatting. Taken as a whole, the app sees over 2 billion swipes a day and facilitates over 1 million dates a week. Welcome, ladies, to the men-free zone. The following dating apps welcome single lesbians and offer a safe, chick-friendly dating space. And you don’t need Facebook to introduce you. Lesbian singles often struggle to meet one another in the real world, so it helps to have an app creating those local connections and facilitating some girl-on-girl action. About the App: More than 1 million lesbian women use Match to find a date or partner, so you shouldn't have trouble finding that special someone. Not to mention Match is responsible for millions of romantic connections. Google Play and the App Store is where you can download the app for free. You also won't have to pay to create your profile, search by your criteria — including sexual orientation — and receive matches. Now, Match may have made a name for itself as a general, straight-laced, meet-and-get-married dating site, but it has a strong foothold in the LGBTQ scene as well. You can identify yourself as a “woman seeking a woman” when you sign up, and your search results will be filled with local lesbians. Again, you don’t need to have a Facebook or any social media account to become part of the Match family. The hassle-free signup process only requires a valid email address, a profile picture, and basic biographical information. Since its launch in 2014, Bumble has proudly identified as the feminist dating app. It has empowered women to seek the dates they desire, so it naturally attracts strong, liberal lesbians who are on the market for a date. Bumble allows users to sign up using Facebook or a phone number. If it doesn’t have access to the user’s Facebook gallery, the dating platform uses the device’s camera or webcam to authenticate new photos. HER is a dating app made by a lesbian single for lesbian singles. Robyn Exton launched the app formerly known as Dattch in London in 2011, and it was soon active in 50 countries around the world. The app is designed to look and feel like a social media platform — women can post stories and share public events — and it does rely on existing social media accounts to verify that its women really are women. The HER community has over 3 million lesbian, bisexual, trans, fluid, and queer women. New HER members can choose to sign up via Facebook or Instagram. The app will pull basic biographical information from social media and publish six recent photos to create a well-rounded profile. Queer women can feel safe in this authentic, no-boys-allowed space. You can read our in-depth review of the HER dating app here. Gay singles can sometimes struggle to find one another in the real world. It’s like looking for a rainbow needle in a heterosexual haystack. You need to go where the needles are to save yourself some time. That could mean hanging out at a gay bar or club, or it could mean downloading a gay-friendly dating app like the ones on our list. About the App: Meeting gay singles on your phone (whether it's iOS or Android) doesn't get any better than on Zoosk, particularly because it's integrated with Facebook and Google+. When you want to be in control, go to the Search page and view guys based on sexual orientation and other characteristics. When you want Zoosk to do the work, go to the Carousel and SmartPick™ pages. You may recognize Zoosk from the #1 spot on our list, but it’s worth repeating here for LGBTQ singles. Zoosk has an incredibly diverse, international membership, and it includes a sizable gay population. The app fosters a flirtatious atmosphere where single men can match and message one another easily. Grindr needs no introduction. It’s the most well-known gay dating app around. Since 2009, this men-only app has offered its unconditional support to the LGBTQ community and made it easier than ever for gay men to find love. The app has introduced many singles to the queer dating scene and given them easy access to guys they may never have met otherwise. The signup process on Grindr is pretty quick. It should take no more than a couple minutes to type in your email address, password, date of birth, and a few key details for the profile. Members can save themselves time by logging in with Facebook or Google accounts, but this isn’t mandatory. It’s up to you to link your profiles or keep them separate. Just know that Grindr won’t out you if you choose to connect through social media. The nerdy team at OkCupid has always sought to do dating differently. First, the dating site used a pantheon of personal questions to calculate long-term compatibility. Next, the site became the first major dating brand to embrace the mobile space and create a companion app in 2012. Then OkCupid made headlines in 2014 by introducing 22 gender options and 13 orientation options, so users across the spectrum could feel comfortable being themselves on the platform. OkCupid empowers gay singles to seek date prospects who share similar interests and lifestyles. 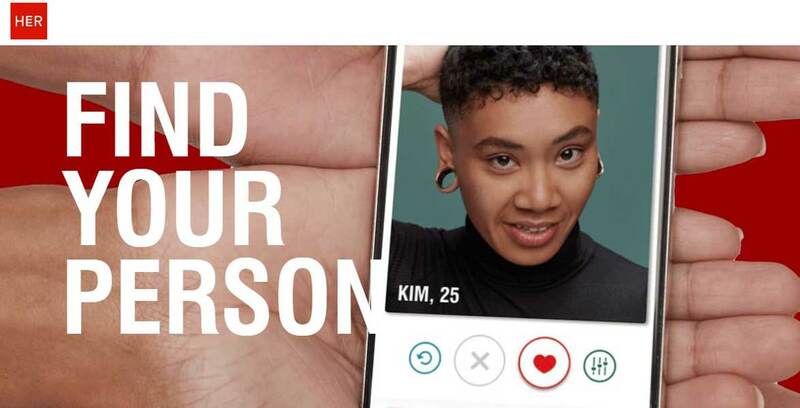 Now OkCupid continues to be a leading ally to the LGBTQ community with an empowering message for millennial singles looking to let their freak flags fly. Whether you’re gay, bi, queer, asexual, or just curious, you can accurately identify yourself and find guys who understand where you’re coming from on OkCupid. Speaking of OkCupid, the dating platform made waves in 2009 when it released internal data regarding race and attraction. It showed hard evidence that singles on the dating site had a preference for particular races. By and large, OkCupid users tended to favor white men, white women, and Asian women while discriminating black men, black women, and Asian men. Singles also tended to view their own race as the most desirable. This paints a pretty bleak picture for racial relations on general dating apps and sites. Fortunately, niche dating platforms for black singles can help the situation by bringing together people who agree that black is beautiful. Match System: Browse by city, hobbies, age, etc. About the App: The largest black-only online and mobile dating community can be found on BlackPeopleMeet. This popular dating app was designed in 2002 to serve black and biracial singles around the world. Today, BlackPeopleMeet’s easy-to-use chat features and location-based searches allow millions of African American daters to flirt with one another while on the go. Since 2002, BlackPeopleMeet has provided a welcoming and diverse space for active daters. The site caters to black and biracial singles in the U.S. and Canada, but it welcomes singles of all backgrounds. Anyone who wants to add some color to their date cards can join the BlackPeopleMeet network. It’s free to sign up using an email address. The website will require you to turn on location settings so it can verify that you are actually in North America. While Coffee Meets Bagel (CMB) isn’t a black-only app, it is certainly a black-friendly app. This community-driven app focuses on quality over quantity, offering a limited number of daily match recommendations to encourage singles to take their time and carefully consider each profile. Thanks to its curated system, Coffee Meets Bagel has made over 50 million matches, and it is responsible for thousands of happy relationships around the globe. The singles of yesteryear were limited to dating people in their immediate vicinity. They couldn’t cast a net wider than their hometowns, and geography determined their matches. We have a lot more options these days. Online dating has essentially removed the obstacles to international romance and allowed singles to connect with people living halfway around the world or around the corner. The following three dating sites specialize in the “halfway round the world” part. You can use these platforms to chat with singles in France, India, Canada, Australia, or just about anywhere you can imagine. We’ve already established that Elite Singles has a high-caliber membership base, but it also has a strong international footprint. From headquarters in Berlin, Germany, Elite Singles has enamored thousands of singles in 20 countries around the world. Elite Singles creates a new love match every eight minutes — without Facebook’s help, by the way — and users can search across borders for the perfect fit. On PlentyOfFish (POF), a hot date is always on the horizon. The dating platform boasts having facilitated more conversations than any other dating site, with 1 billion messages sent every month. Messaging is completely free on POF, but you can always upgrade your account to get special benefits, including seeing your profile views and unlocking a member’s extended profile. You don’t need Facebook to sign up to PlentyOfFish. You just need to provide an email address and username. Over 70,000 singles in 60+ countries join the POF network every day, so there truly are plenty of fish in this online dating sea. Badoo offers a fast-growing online community for singles of all ages and backgrounds. This international dating network facilitates thousands of romantic encounters and meaningful connections every day. Over 413 million people have joined the Badoo network, which has proven to be an effective and popular dating resource. The app currently boasts a 4.5-star rating in the App Store and a 4.3-star rating on Google Play with thousands of five-star reviews. Known for its straightforward heart icon, Badoo uses the universal language of love to bring singles together. You can sign up using Facebook, or you can provide a phone number for verification purposes. 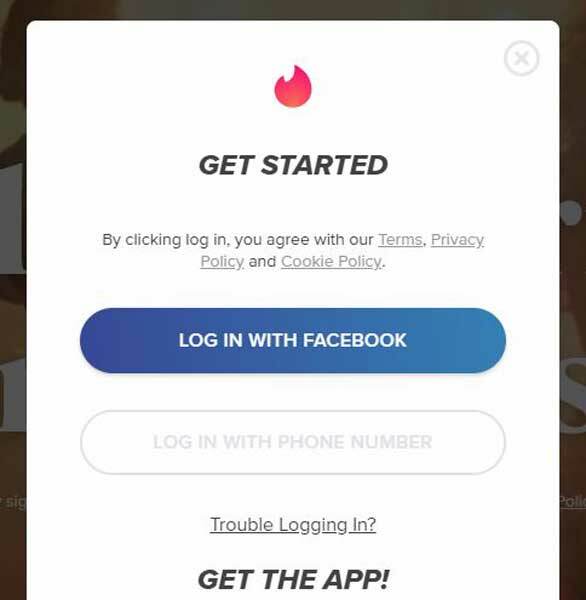 Why Do Some Dating Apps Require Facebook Logins? We’ve touched on this earlier in the article, but it’s worth delving deeper into it. Because it is confusing. Many singles choose to keep their personal dating lives separate from their public social personas, and they’re hesitant to allow the two to intermingle. In 2018, Tinder began allowing non-Facebook users to join the app by inputting a phone number. So, why do some dating apps insist on involving Facebook in the process? Convenience. It’s more convenient for the user, who doesn’t have to fill out a lengthy profile or search for photos in a personal gallery. It’s more convenient for the site monitors who can rely on Facebook to pre-screen and authenticate new members. And it’s more convenient for match algorithms, which can use a treasure trove of personal data to recommend viable date prospects. Basically, dating apps thrive on personal information, and Facebook has all the juicy details. It’s a beautiful partnership. Or, it was, until Facebook announced it was busting up the band and going solo with its soon-to-be-released dating app. What Data Do Dating Apps Collect From Facebook? Syncing a dating profile with a social media profile is all about information-gathering. The app uses your Facebook bio information as the framework to create your profile. That way, you don’t have to submit your gender, birthday, or photos — it’s already provided by Facebook. Dating apps collect profile information from Facebook to get a handle on who a person is and what he or she wants. Some dating apps also use your friends list to recommend matches who are in your social circle. Hinge used to have a feature where it highlighted friends of friends as potential matches and told you which friends you had in common. That offered singles a little more confidence in the introduction. I mean, if Bob likes him, how bad can he be? Tinder has also used shared interests on Facebook (as in, both members liked the movie “Fight Club” or the actress Rebel Wilson) to arrange mutually compatible matches. If you read the dating app’s Terms and Conditions, you can get a better idea of where your information will go and how it could be used. Will Dating Apps Post On My Facebook? Absolutely (probably) not. Most dating apps will outright state that they will not post on Facebook for any reason. You can usually see an abbreviated version of its terms in the pop-up window showing your account. The dating app will usually list the stuff it wants access to (your name, email address, profile pictures, etc.) on your account. Will My Facebook Friends See That I Joined a Dating App? No. Dating apps do not notify Facebook friends about its members, nor will it appear as a post in anyone’s newsfeeds. Companies know people are touchy about that sort of thing, and most of them won’t risk alienating their members. 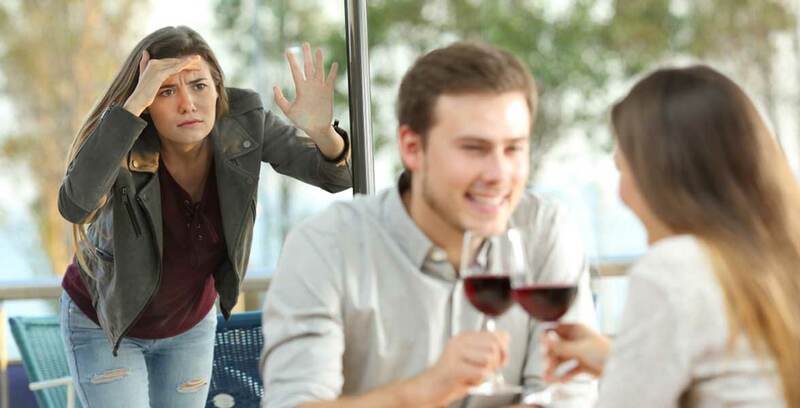 Your friend may see you on the app if he or she is also on the app — and there’s not much you can do to avoid that awkwardness — but it won’t be publicly available information on Facebook that you joined a dating app. Online dating is a public space, but it does offer some anonymity to its members. 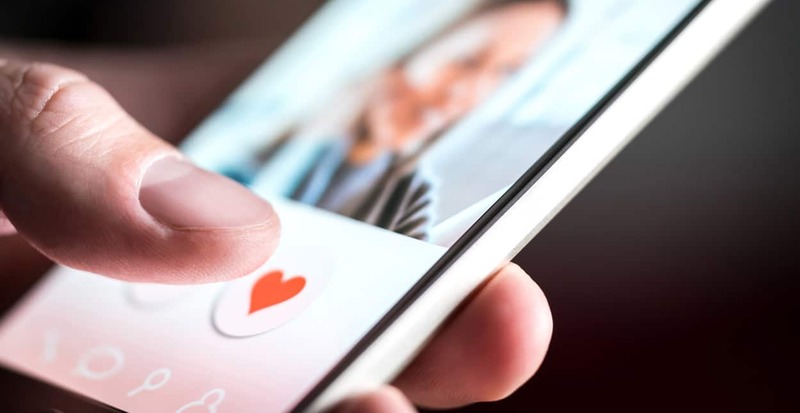 If you like or follow the dating app on Facebook, however, that would be publicly displayed on your profile and may lead to some follow-up questions by curious friends or family members. All in all, signing up to a reputable dating app through Facebook isn’t going to blow up your spot. Just be sure to always read the fine print. Singles without Facebook accounts may miss out on the occasional relationship status update or livestreaming event, but they shouldn’t have to sacrifice their dating lives, too. Dating apps can’t very well shun the billions of people who haven’t signed up to Facebook and have no intention of doing so. Many popular dating apps will give users the option to sign up through their Facebook accounts because it’s faster and more convenient. But this is (usually) optional. An email address or phone number should work just as well to get your foot in the door. After all, not all Facebook users feel comfortable using their personal accounts to launch a dating profile. Even if you’ve never had a Facebook account, you can always find a dating site or app willing to take you on and give you a shot to meet people. The dating apps on this list don’t require you to sign up through Facebook, so you can keep your social life separate from your love life. Hard not to like that!